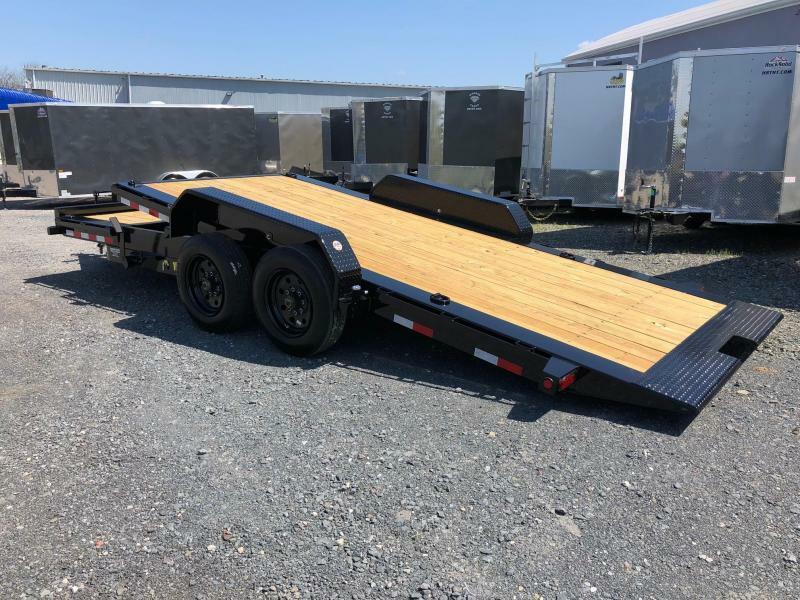 The Angle Frame Equipment Hauler is a rugged trailer designed for years of dependable use for hauling skid steers and tractors. 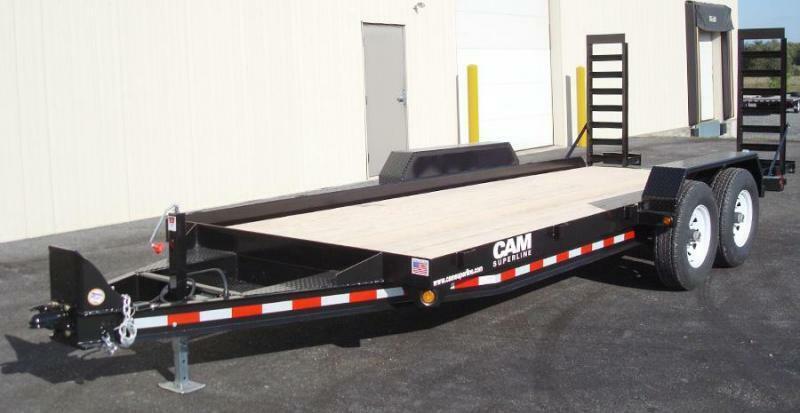 The main frame is built with angle steel which creates a convenient tray to help hold your payload or cargo in place. 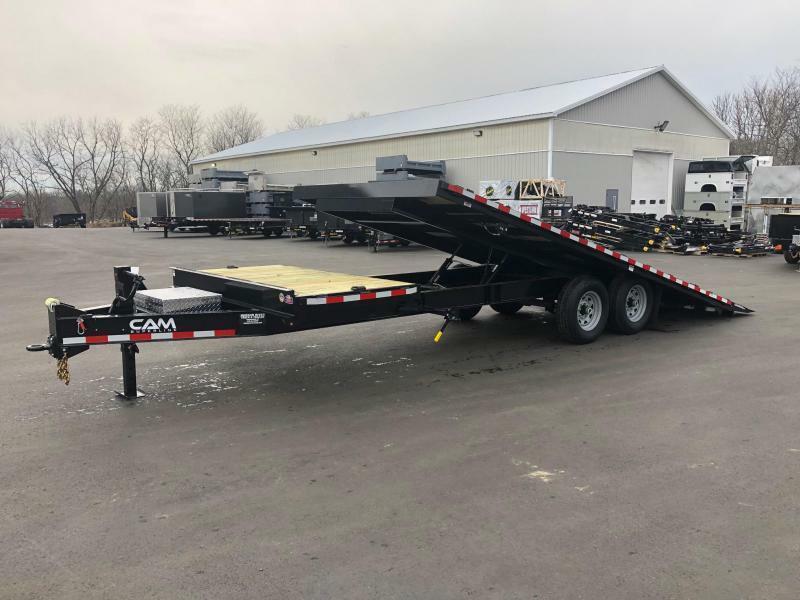 This line of trailers is available in capacities up to 18,400 lb. GVWR. 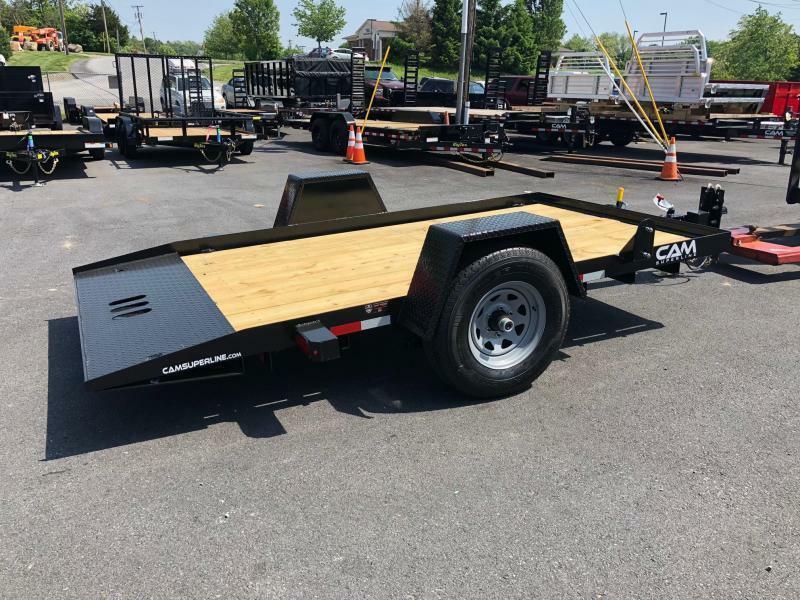 This trailer comes standard with convenient features such as an integrated tool tray with locking lid, heavy duty diamond plate fenders that won't buckle or fold under pressure, a durable four-bolt adjustable hitch plate offering changeable height settings, to match the hitch height of your tow vehicle, and comes standard with a 2-5/16" self-seating ball coupler or a 2-1/2" pintle ring. 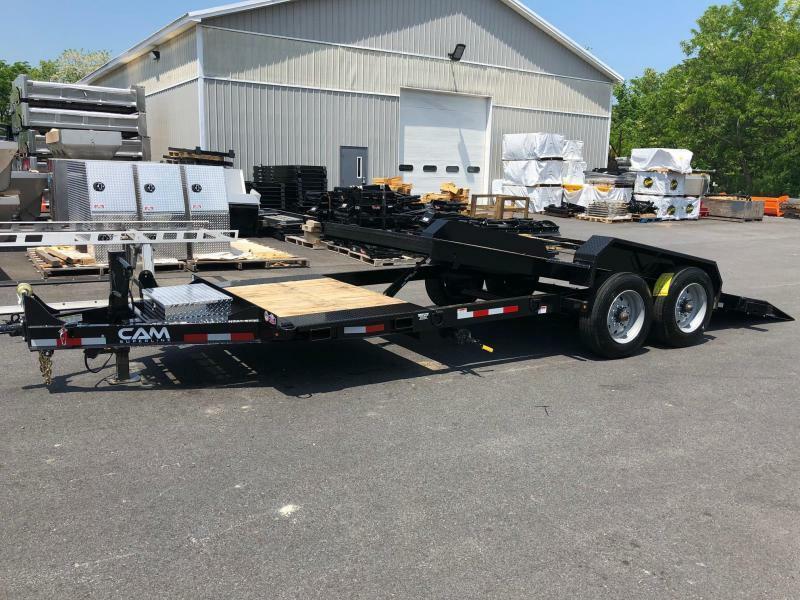 An optional pallet fork carrier attachment is available for convenient, secure, on-board storage and transportation. 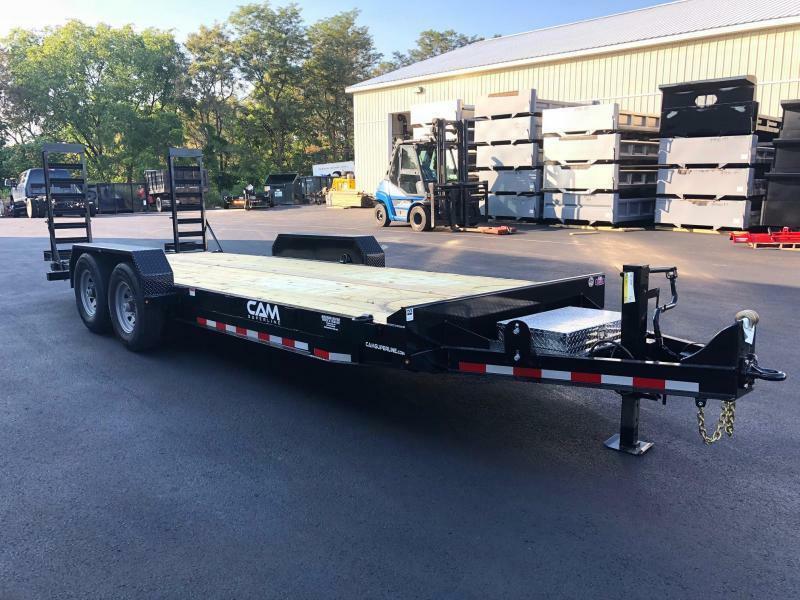 For ease of operation (and to save you time), our 7,000 lb. 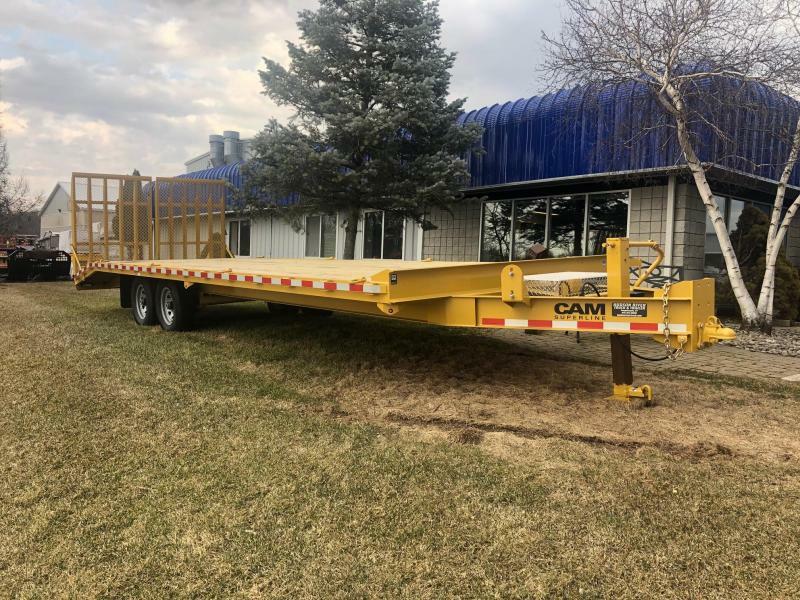 top-wind jack reduces cranking with a convenient drop-leg feature. Simply remove the pin, lift the jack leg, and clip the pin back into place. 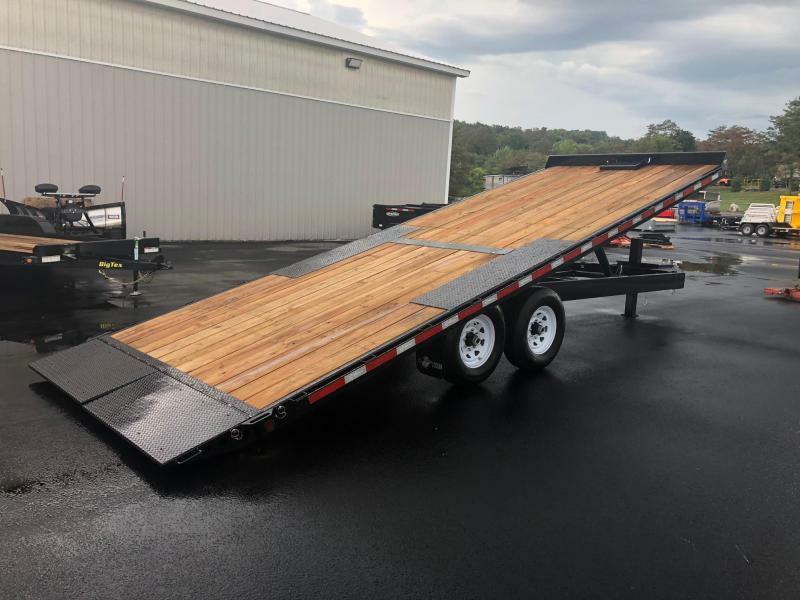 An innovative Zip trailer breakaway system eliminates fraying, dragging, or breaking. A sealed 7-Way SAE plug, fully wired to a weatherproof junction-box, provides a fast and secure electrical connection to your tow vehicle. 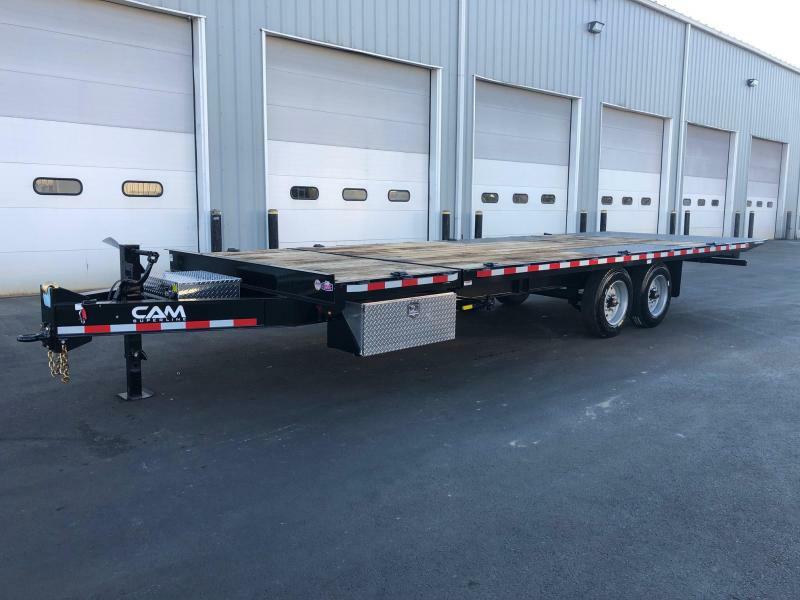 Built for quality, value, and dependability, all CAM Superline trailers come standard with LED lights, a sealed, 1-piece heat-shrunk wiring harness, and a superior 2 component finish featuring an epoxy primer and PPG polyurethane paint providing the ultimate in corrosion resistance and long-lasting durability. 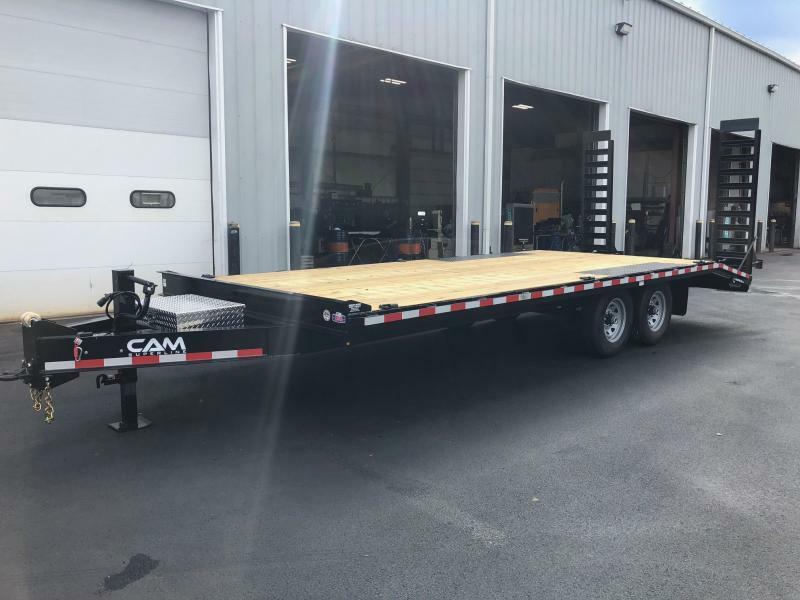 Back it all up with a 3-year warranty and it's easy to see - CAM Superline is your partner for the long haul! PLEASE NOTE: OUR INVENTORY CHANGES OFTEN. WE DO OUR BEST TO KEEP OUR STOCK INFORMATION UP-TO-DATE. PLEASE CONTACT US FOR MORE INFO. THANK YOU.